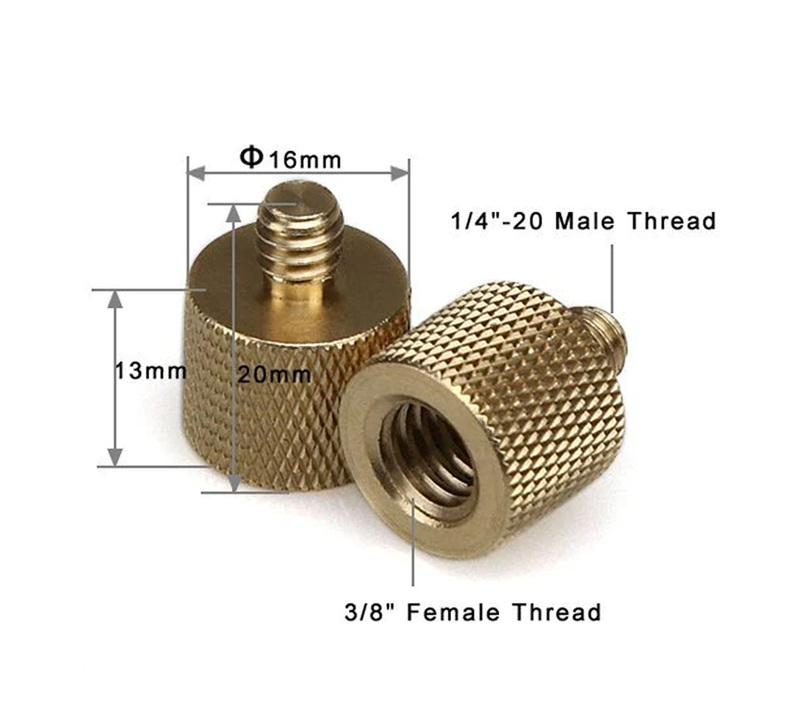 The SmallRig Thread Adapter with Female 3/8" to Male 1/4" thread is made of brass and comes with female 3/8" to male 1/4" thread. SmallRig 1565 is a Ratchet Wingnut with M5 (5mm) thread, the length of screw is 18mm. It is compatible with railblock 1266 and railblock 1406. It is spring loaded, and can be pulled out and turned to a more user friendly position after being tightened.